The design and concept of this house was inspired by the surrounding landscape and topography of the dense forest area of Stavrovouni and the challenge of combining two briefs, a home and an art gallery (with an extensive varied collection). The client’s vast collection of art work almost became the main inhabitant for the interior design of the house and gallery. Framing views and exposing panoramic views to the outside were key to design and especially the orientation of the house. This house, situated in 20 acres of woodland, is a home for a young family and their extensive art collection. 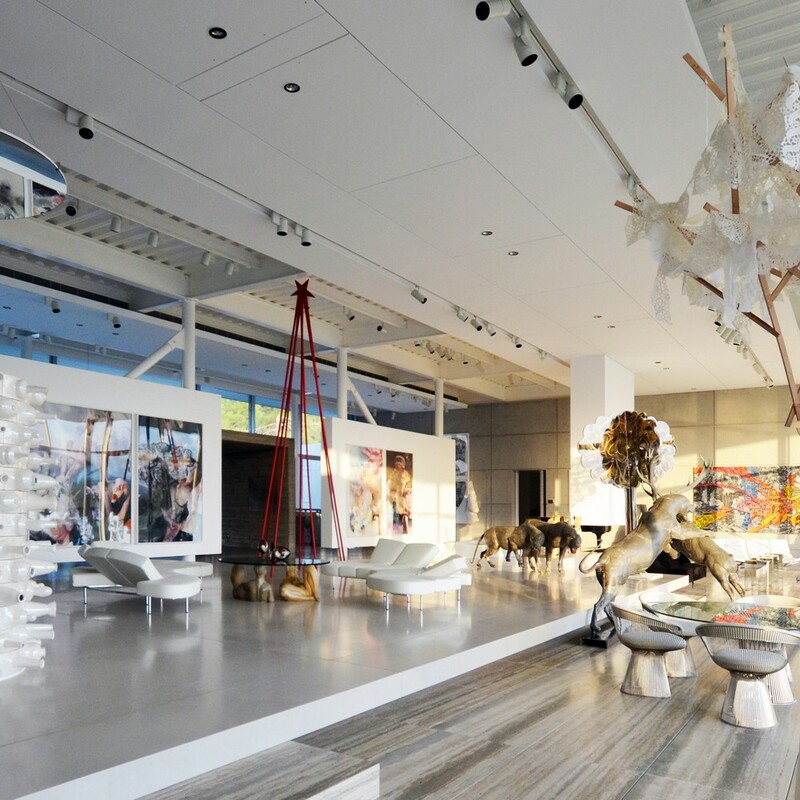 It is more of a gallery with some living space within it rather than the other way around. Long overhangs shade the south facing building, with the Stavrovouni mountain as the focal point. To enjoy the pine forest within the plot and the panoramic mountain views, the study is placed in a tube like structure, just like a camera lens or a canon, cantilevering on the top of the building. The house and gallery space have become one entity and have been used on many occasions by the client and also by artists as a place to entertain and exhibit. The dining area is positioned in the center of the gallery surrounding by all the artwork and sculptures. On the grounds, the extended landscape has become series of pathways that meander through different types of gardens, constantly changing the perspective views of the house through the woods. 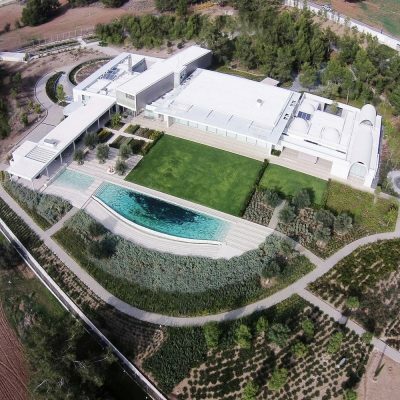 The house is located on the outskirts of Nicosia, Cyprus and was completed in late 2014 and inhabited since. What made the realization of this project an interesting challenge was the combination of the two client briefs, an art gallery and a family home, which lead to creating an almost hybrid architecture for the building. The middle section of the house, which is the main entrance to the gallery, is a large double height space displaying the artwork and sculptures while using the landscape pine forest as a backdrop. However on the outer wings of the house the height is brought done and corridors and interconnecting spaces are introduced to create a more home-familiar environment. The architects’ work ranges in scale from interiors and small buildings to large scale architectural projects as well as urban master planning. Regardless of the size, context or scope, they approach each project as a unique challenge and an exciting opportunity to develop a dynamic and efficient design response. The architects are committed to creating buildings which influence the quality of lives while at the same time we make every effort to ensure that our buildings are sustainable, financially viable, create value, minimize environmental impact and optimize energy efficiency. An appreciation of place is also essential to their working process; they never resort to a fixed architectural language, but work in response to the particularities. The architects use sketches, models and 3 dimensional digital tools to explore and refine their designs, translating our schemes into reality by drawing on an exceptional network of knowledge and experience that embraces every aspect of a building`s design, construction and performance. They enjoy the challenge of good detailing and the consistency of their approach and meticulous attention to detail is well known and appreciated. The architects drive to create energy-efficient buildings does not prioritise novelty over performance and they are always open to using traditional technologies, local materials, expertise and the available industry in order to provide the best solution to their clients. 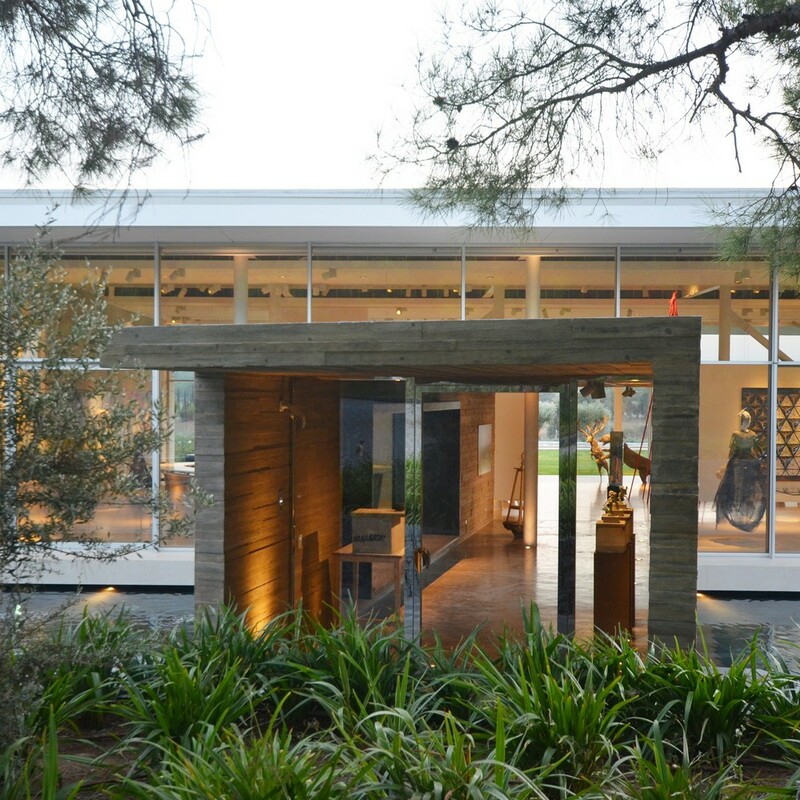 The challenge of designing this building was the combination of an art gallery and private home for a family of 4. Taking into consideration each item that was going to be “exhibited”; and its dimensions but also to accommodate for future collections and future family expansion. Vakis Associates is a studio of highly creative and imaginative architects, industrial, car, interior and spatial designers, committed to designing quality buildings and interiors which are socially, economically and environmentally responsible. 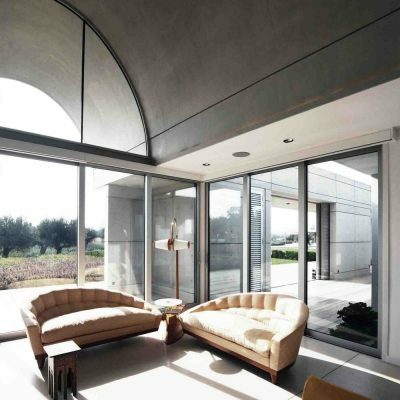 The practice was founded by Vakis Hadjikyriacou in 1983 and has established itself as one of Cyprus` foremost architectural firms. We are currently engaged in a broad range of projects from residential and office developments to civic buildings, hotels and interiors. Our design team of architects, civil engineers. interior and product designers has a wide range of talent and professional experience in designing and supervising advanced and well crafted complex buildings. Our work ranges in scale from interiors and small buildings to large scale architectural projects as well as urban masterplanning. Regardless of the size, context or scope, we approach each project as a unique challenge and an exciting opportunity to develop a dynamic and efficient design response. 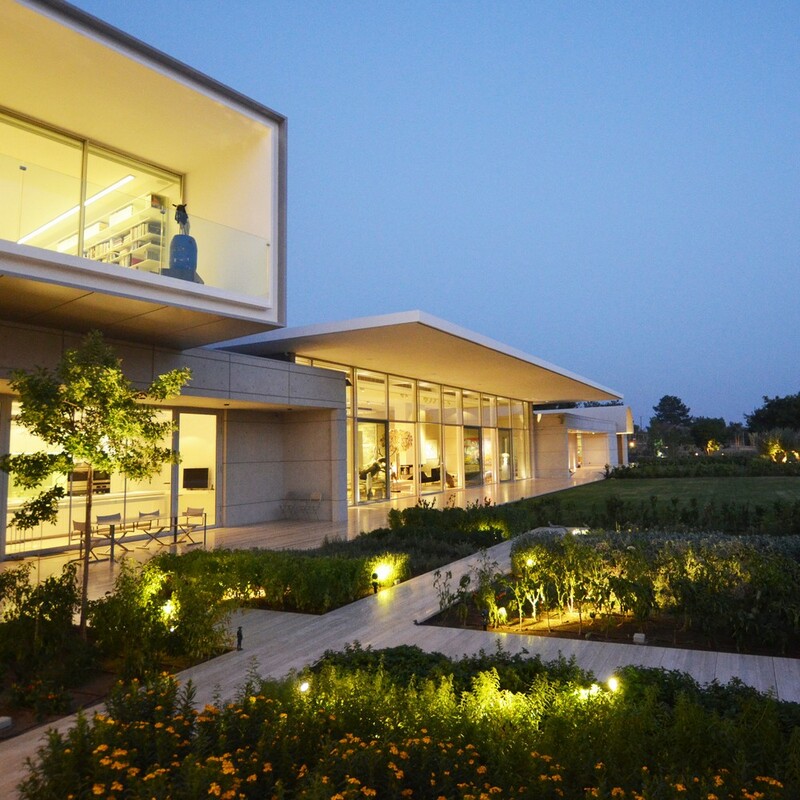 We are committed to creating buildings which influence the quality of lives while at the same time we make every effort to ensure that our buildings are sustainable, financially viable, create value, minimise environmental impact and optimise energy efficiency. An appreciation of place is also essential to our working process; we never resort to a fixed architectural language, but work in response to the particularities.We use sketches, models and 3 dimensional digital tools to explore and refine our designs, translating our schemes into reality by drawing on an exceptional network of knowledge and experience that embraces every aspect of a building`s design, construction and performance. Winner – Art Collector’s House Private Residence & Art Gallery by Vakis Hadjikyriacou is Winner in Architecture, Building and Structure Design Category, 2015-16.